We said farewell to the camper van this morning as we swapped it for a car at Queenstown airport. Then we left Queenstown for the drive down to Invercargill on the south coast. First we had a cup of tea in Ian and Jenny's dining room which had a nectar feeder outside the window which was being frequented by Bellbirds and Tuis. 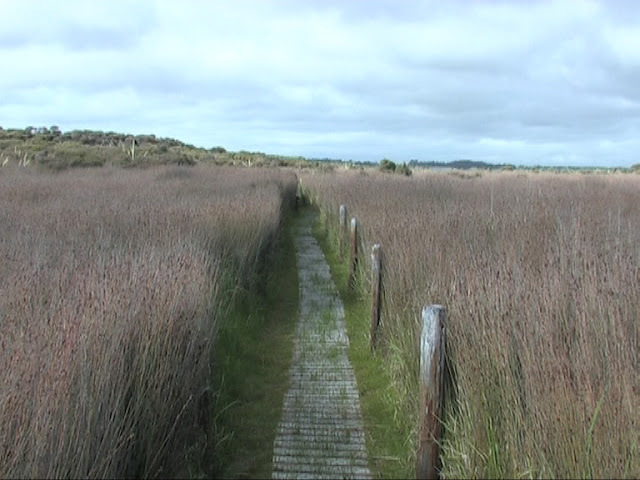 Then Ian took us out to the trail to show us the Fernbirds. 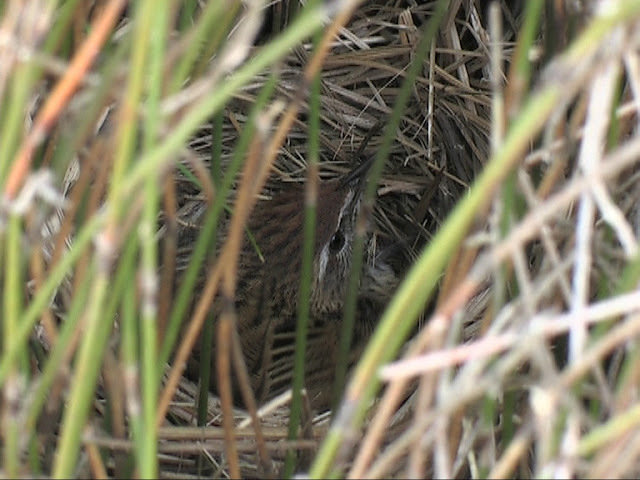 We saw several individuals flying over the dense grass (Probably not grass but more like reeds) and diving into cover to get out of the wind. This was a little frustrating but then Ian located an individual nesting next to the path. I was able to video this bird from very close range. Spent the night at the Tower Motel in Invercargill and went for a curry.